Detroit, MI During every game day of the Detroit Tigers the GM Renaissance Center will show the old English D as it switches out with other GM logos. 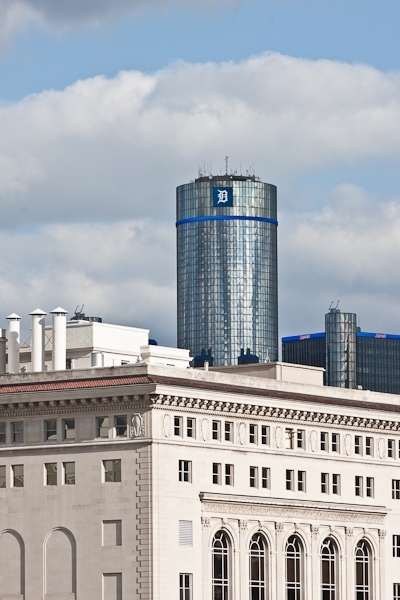 I think it is great for Detroit teams and the city of Detroit that the companies and businesses help take on the pride that the people of Detroit have in there teams and City. Now only if those Auburn Hills Pistons would come back home to the city of Detroit where they belong.